Psychotherapy (“therapy”) can vary in terms approach, frequency, and duration. It usually involves meeting once per week during which we discuss the issues affecting your life. We explore these ideas while considering both present and past influences. While there are cognitive and behavioral components, much of what is therapeutic takes place on deeper emotional and relational levels. If you are not satisfied with your life and wish that you could be living more happily, successfully, or freely, then therapy will likely be helpful for you. Anxiety, depression, anger, fear, loneliness, relationship problems, and substance use are a few of the many reasons that people decide to consult a therapist. Does what is bothering me require professional help? Many people believe that they need to be suffering from “mental illness” or serious psychological problems in order for therapy to be appropriate. This is not the case. Those with less severe issues often greatly benefit from therapy because their existing psychological strengths allow them to make more rapid and substantial changes. Therapy provides a close relationship that allows you to explore your most personal thoughts, feelings, and behaviors in a safe, empathic, non-judgmental setting. Unlike a friend or family member with whom you have a personal relationship and who is never completely able to separate themselves from the experiences that you describe, a therapist is able to provide an objective perspective that is solely focused on you and your experience. 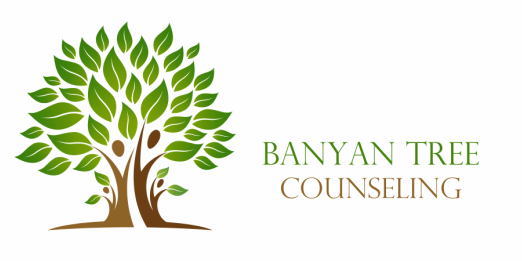 Why choose a Licensed Professional Counselor? As opposed to psychiatrists who are predominantly trained in medications, Licensed Professional Counselors (LPC's) are trained in psychotherapy. While social workers (LCSW's) sometimes also work as therapists, a Licensed Professional Counselor's training is, in general, most focused on the theory and practice of providing psychotherapy to individuals. What kind of therapist are you? Many people incorrectly associate psychotherapy with the classic, impersonal, ultra-restrained “Freudian,” the person sitting silently in the chair and nodding. This is not an accurate representation of how most therapists, including myself, work. Sessions are interactive and collaborative. We explore thoughts, feelings, and behaviors, the present and the past, the conscious and the unconscious. Often, we try to make sense of troubling behaviors and relationships that you “know” are not working but are confused about how to change or stop. The first session is a general consultation. It is, in some ways, like an initial appointment with a new primary care doctor. We will get to know each other and discuss the issues that are troubling you. If you are comfortable and we decide to begin working together, we will then discuss how therapy can be helpful and start to set some preliminary directions and goals. We will continue to talk about these things during our second meeting, as well as discuss any reactions that you have to our first session. Therapy can last from a few sessions to much longer, depending on a number of factors including the life changes that you desire. In general, you remain in therapy as long as you feel it is helping you to develop and grow. What can I expect to achieve in therapy? Successful therapy will help you to come to feel more genuine and true to yourself, and to improve the quality of your life. In addition to reducing or eliminating "symptoms,” therapy helps foster many different kinds of personal growth, including increased self-understanding and awareness, deeper and more intimate relationships, and more satisfying career paths and life directions.